Where Can I buy the plastic knobs for this product? Where can I buy spare knobs for this product? Do these work with cat. 6? Is there any effect on speed? I want to use them with a gigabit network. Wow! 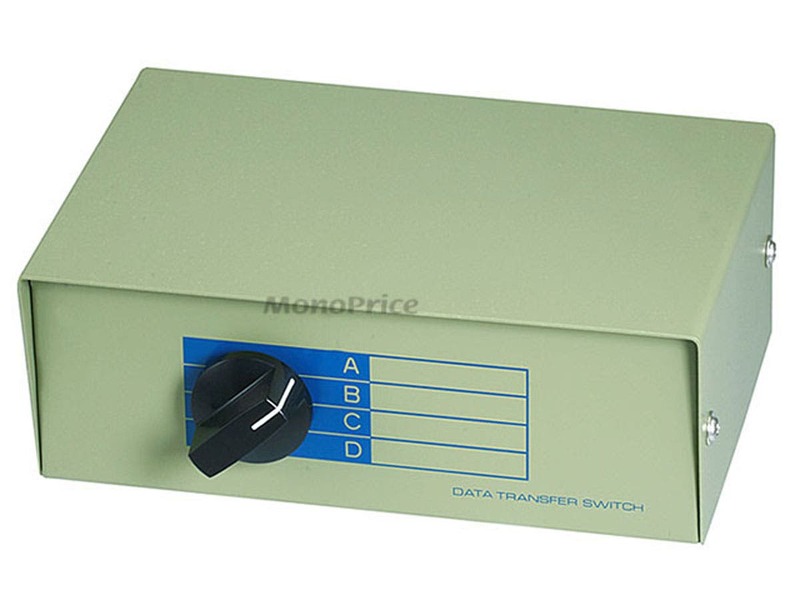 Great price for a quality switchbox! Built to last. Fast shipping, too! In my home entertainment center I have multiple components which require internet access for firmware upgrades or content. As I have only one Ethernet port available, I was constantly swapping Ethernet cables. With this switch in place now I have only to turn the dial to select the component currently in use and it's on line. It's a sturdy mechanical device. just like the products we used to buy. For what I wanted it to do it did perfectly. It's amazing tech from the 80's that nothing contemporary can touch. Perfection. This device harks back to the days when things were meant to last. But I'll check back in 10 years. PROS: Works flawlessly. Switch action is smooth but definite. This does what it's supposed to do, plain & simple. I can't get any easier. For an Internet connection to my desktop, notebook computer and Smart TV, I prefer the reliability of an ethernet cable, instead of WiFi. Good wireless routers are expensive and, because of their complexity compared to this simple 4-way switch, they can introduce their own problems to the system. This unit has a rugged metal casing and rubberized pads on the bottom to prevent slipping or scratching of surfaces. The switching mechanism is substantial and seems like it will provide years of dependable service. The design is "retro" in a GOOD way it actually reminds me of electronic devices made in the 1960s, when things were built to last. 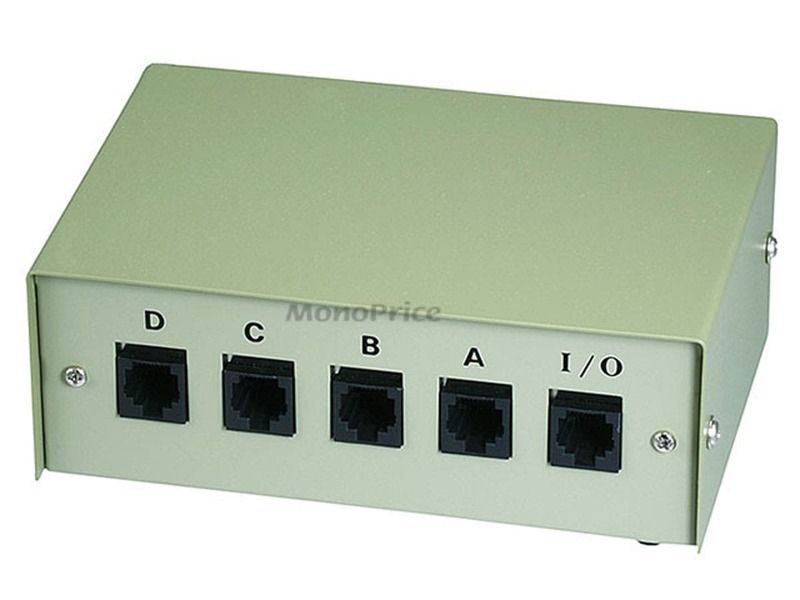 Since this is a basic A-B-C-D switch, it will enable you to connect your modem to a total of 4 devices through RJ45 ethernet cables. However, be advised that it is not intended to function as a router, and it will provide a network connection to only ONE device at a time. This suits my needs perfectly, and with the switch placed within easy reach on my computer desk, I can easily choose which device I want to connect with a simple turn of the rotary switch. 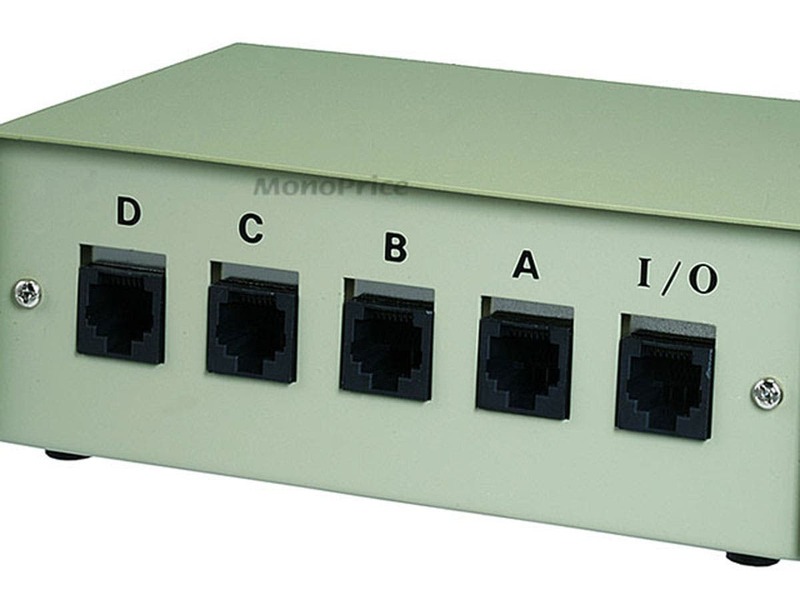 This unit WILL handle high-speed ethernet connections flawlessly. I have been able to stream full 1080p movies from Netflix and Amazon without any video feed interruptions whatsoever, and my computer access to the Internet is as fast as always. 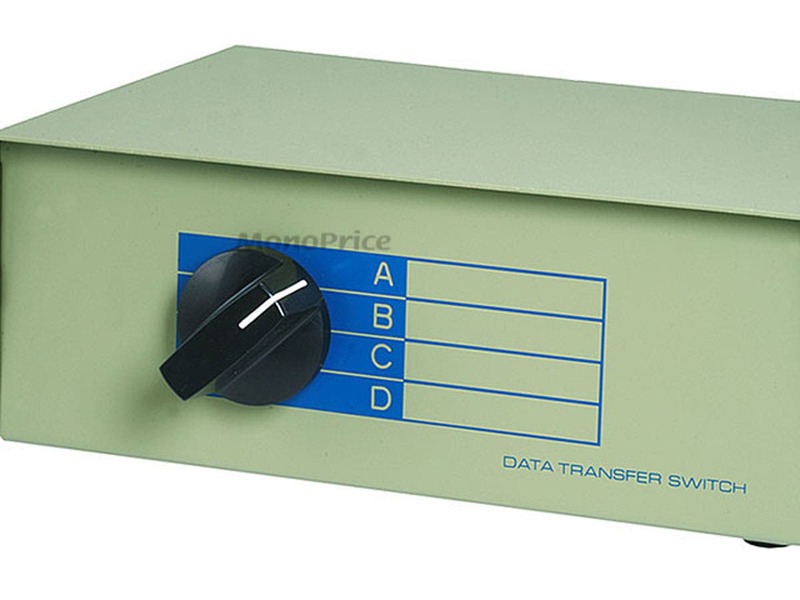 In short, this switch does its job superbly without adding any problems to the network, which is exactly how it should perform. I'm using this box to switch between 3 cisco routers and a switch. I no longer need to swap the console cable between devices, and don't know how i ever survived without it. Thanks Monoprice. As always, the quality and value, cannot be surpassed. PROS: Cheap, Effective, Good quality. I use this box to hook up my PS3 and my Xbox 360 to the internet. No more crawling around trying to plug cables into the wall jack in the dark. If you have both systems and play online, get this box. PROS: Plug and play out of the box. This is a product every PC owner should have on his desk. Allows to disconnect ethernet with a flip of a switch and greatly reduces odds and ease of a breakin to your PC. A no-brainer in my opinion.